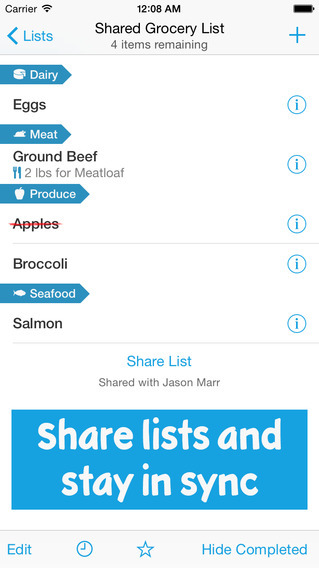 Available via Pingwell, the Grocery Gadget Shopping List app lets you simplify your trips to the supermarket. This handy app lets you scan barcodes with your smartphone, sync your shopping lists with your family, and share product images. If you’re tired of making multiple trips to the grocery store to pick up forgotten items, this download might be just the solution you need. Offered by Purple Cover, the AnyList app lets you share shopping lists with multiple people. You can ask Siri to add items to your grocery list and automatically sync your data with your spouse’s iPhone or your nanny’s iPad. AnyList offers auto-complete for common grocery items and recipe organization to enable ingredient tracking. 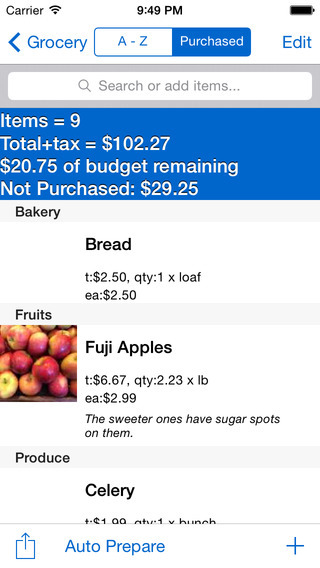 Available via Decimal Software, the Smart Shopping List application is an excellent option for grocery shopping as well as gift shopping. You can pre-plan your Thanksgiving or Christmas grocery list and sync your must-have items with your spouse’s phone. This application lets you create multiple lists for a variety of purposes (i.e. gifts for co-workers, gifts for family, decorations needed) and lets you create audible reminders too. 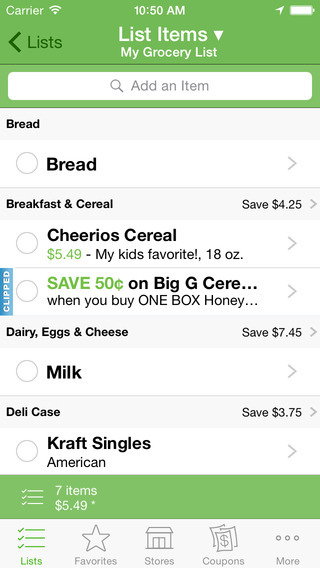 Offered by Coupons.com, the Grocery iQ app offers multiple helpful features to speed you through the supermarket. This download offers voice search, grocery check-out tracking, favourite item lists, and list synchronization. 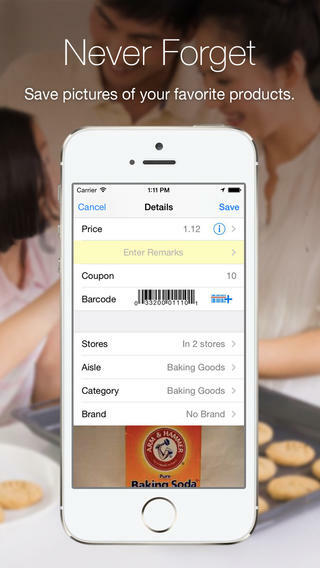 This application lets you scan barcodes, search for local stores, and even track loyalty card points. Available from Mostly Brothers, the Farmstand app is a terrific choice if you want to shop for grocery items from local vendors. 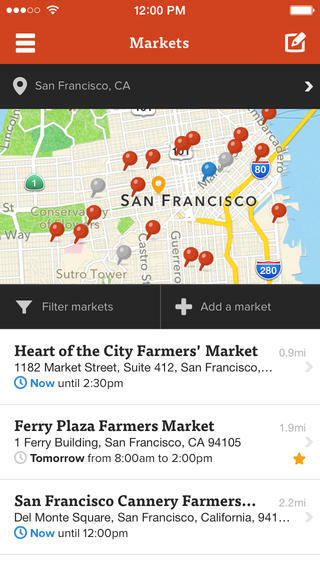 This nifty download connects you with farmers and markets in your area. Whether you’re looking for a grain-fed turkey for Christmas dinner or an organic pumpkin for Thanksgiving pie, you can search for a provider in your area via this handy iOS app. Shopping doesn’t need to be a chore if you’re willing to take advantage of the numerous grocery list apps at your disposal. From cranberries and stuffing for Christmas to everyday items like potatoes and milk, using a mobile app to track your must-have food items makes a trip to the supermarket an enjoyable excursion. Do you think you’ll be using any of the above-listed grocery list apps to simplify your food shopping?